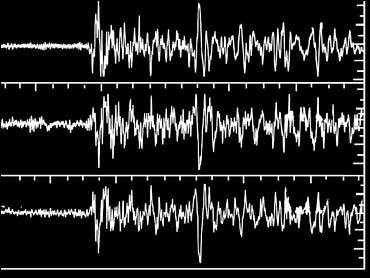 The U.S. Geological Survey is reporting that a major earthquake has struck off the coast of northern California. According to the USGS, the Tuesday night quake measured 7.0 on the Richter scale and was located about 90 miles west-southwest of Crescent City, Calif., and about 300 miles northwest of Sacramento. So far there have been no reports of any casualties. Witnesses felt buildings shaking along the California coast but there have been no reports of damage. A tsunami warning was briefly in effect from the California-Mexico border north to Vancouver Island, British Columbia, but was called off about an hour after the quake hit. The National Oceanic and Atmospheric Administration runs the warning system, which includes 25 other countries with Pacific coastlines. Crescent City was the site of the only known tsunami to cause deaths in the continental United States. Eleven people died and 29 city blocks were washed away when a tsunami spawned by a quake hit Crescent City in 1964. CBS News Station KCBS reports residents of Crescent City were evacuated from low-lying areas. Tuesday's quake in California hit at 7:50 p.m. local time, one day after a major quake thousands of miles to the south - centered in rural Chile, 940 miles north of Santiago. Monday night's 7.9 quake in Chile also rattled cities in Bolivia and Peru. The South American quake was the world's third strongest since the Dec. 26th quake that caused the Asian tsunami. It measured 9.0 on the Richter scale; an 8.7 quake hit in the same area on March 28. Chile Tuesday sent cargo planes with medicine and tents to a northern Andean region rocked by an earthquake that killed at least 11 people, including a family of six buried by a landslide. Chile's Emergency Bureau said Tuesday at least 130 people were injured, and many more required attention for panic attacks. The quake caused power outages and disrupted water supplies to parts of the Andean region, officials said. Landslides set off by the quake blocked roads, but military cargo planes flew in 15 tons of medicines, tents, mattresses and blankets. The Chilean quake killed at least 11 people, including an 80-year-old disabled man and a 9-month-old baby. An entire family of six died in a landslide near the port city of Iquique. Authorities said they had stopped by a road to put flowers where a man had earlier been killed in a traffic accident. Placing flowers at an accident site is a Chilean tradition. Raul Lanas, who lives in the village of Huara, told Radio Cooperativa of Santiago that nearly 60 percent of the houses there were destroyed or damaged. A nurse in the village said more than 20 people required medical aid.